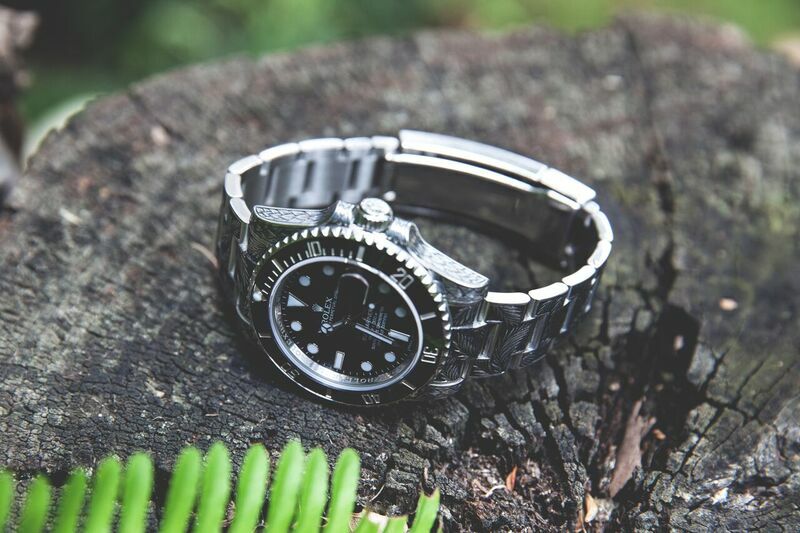 Los Angeles based fine jewelry company, Huckleberry LTD, has created the first of their The Palm capsule watch series - the The Palm #1 Watch. 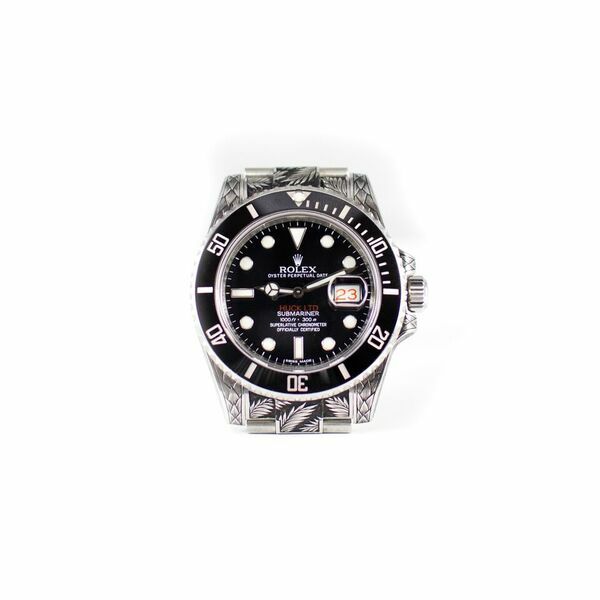 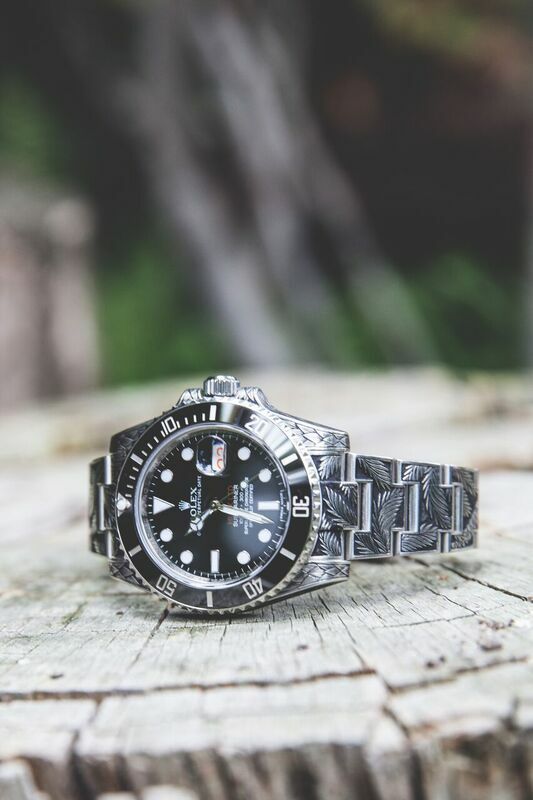 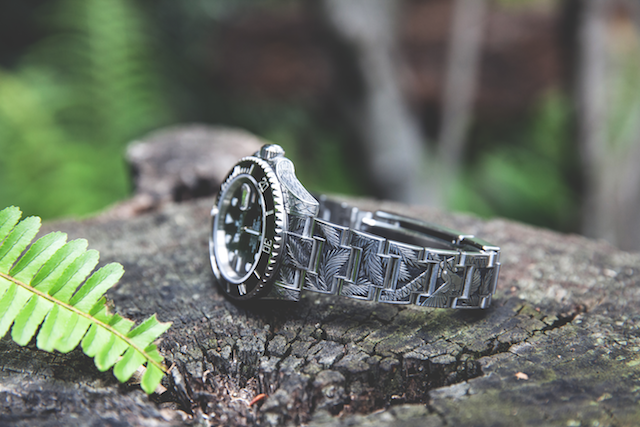 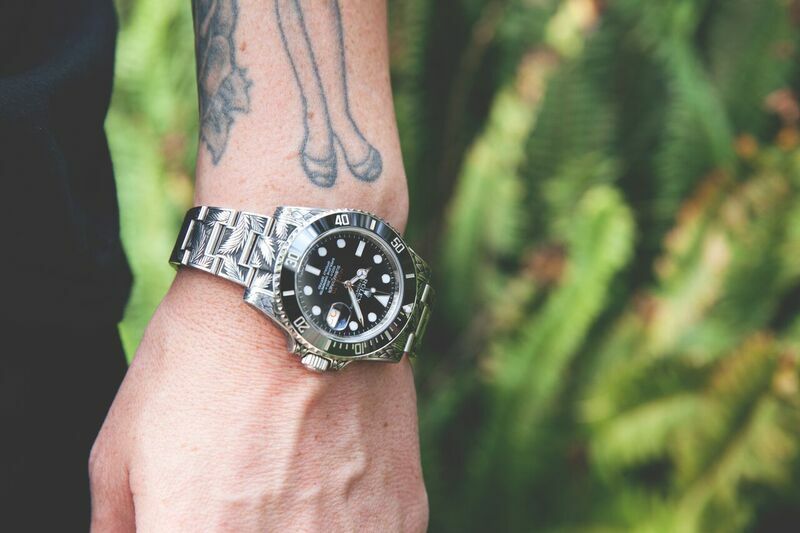 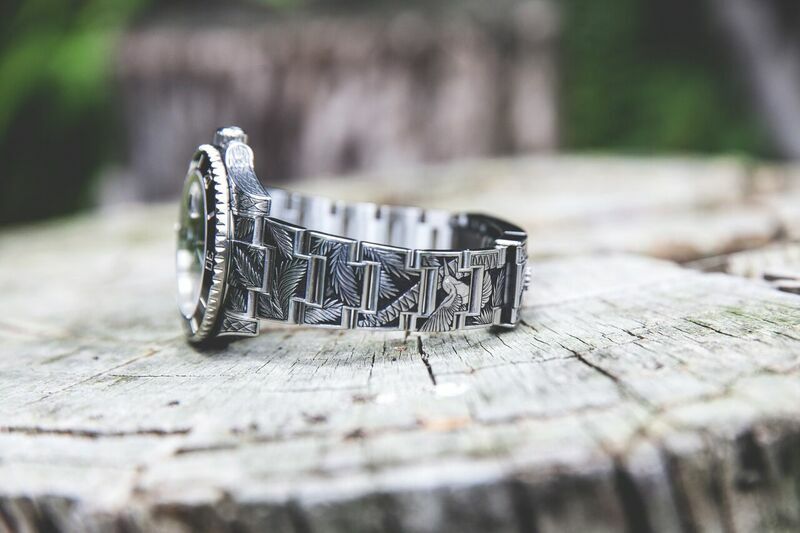 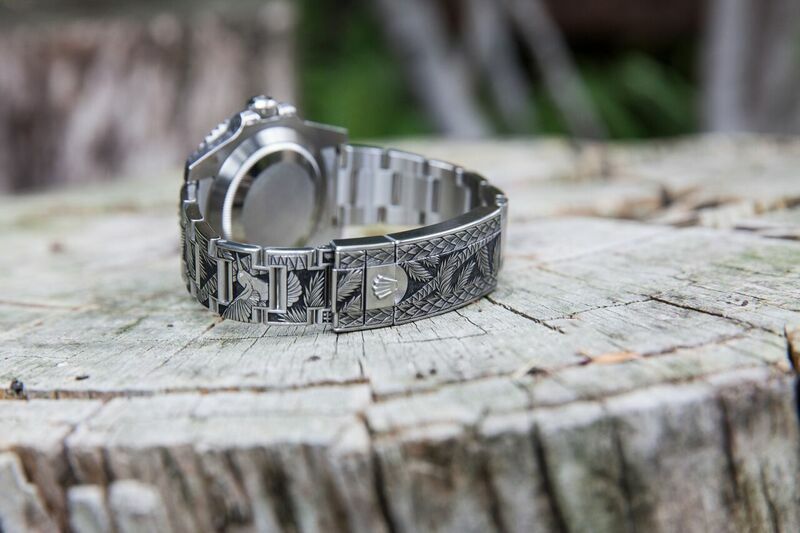 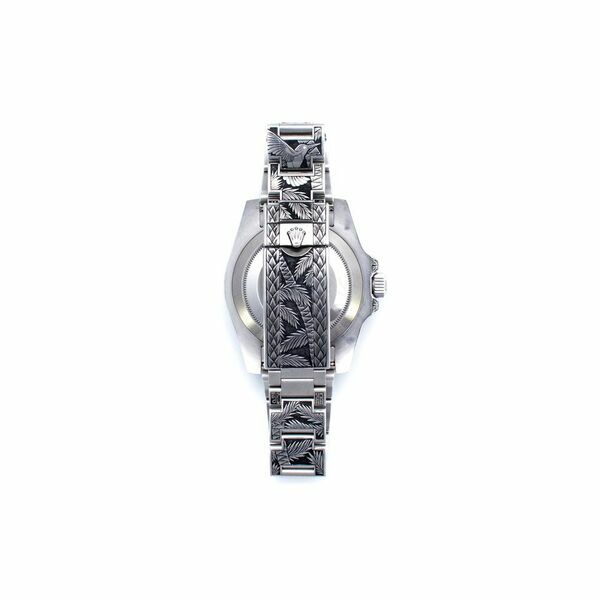 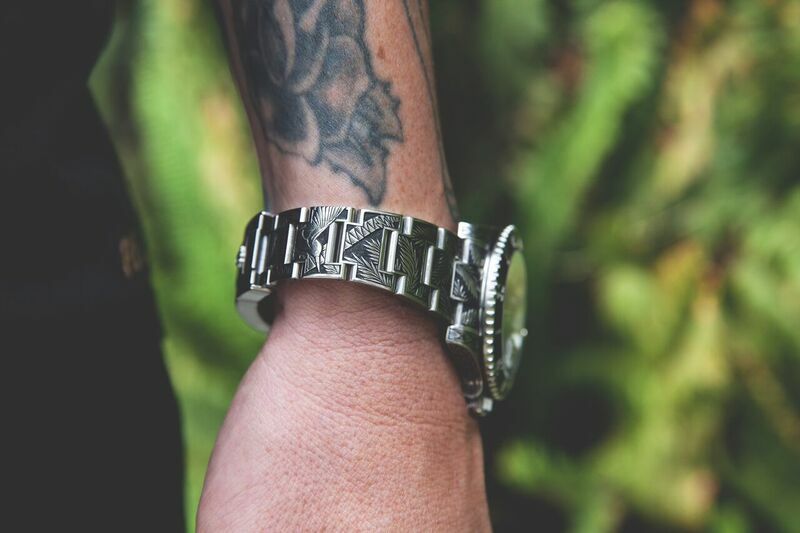 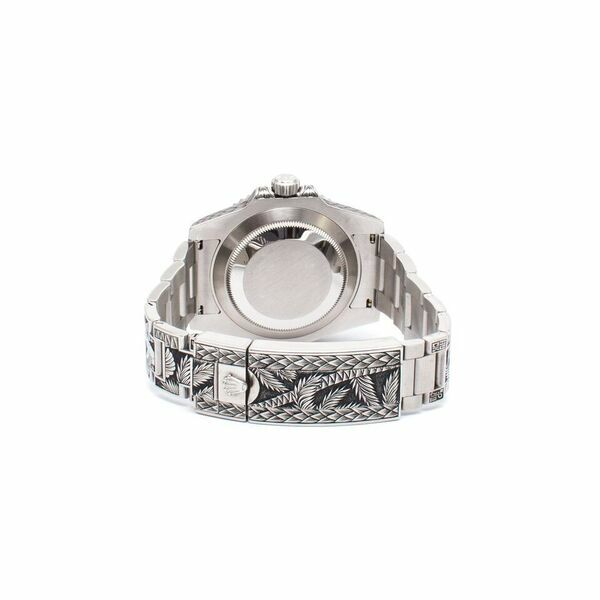 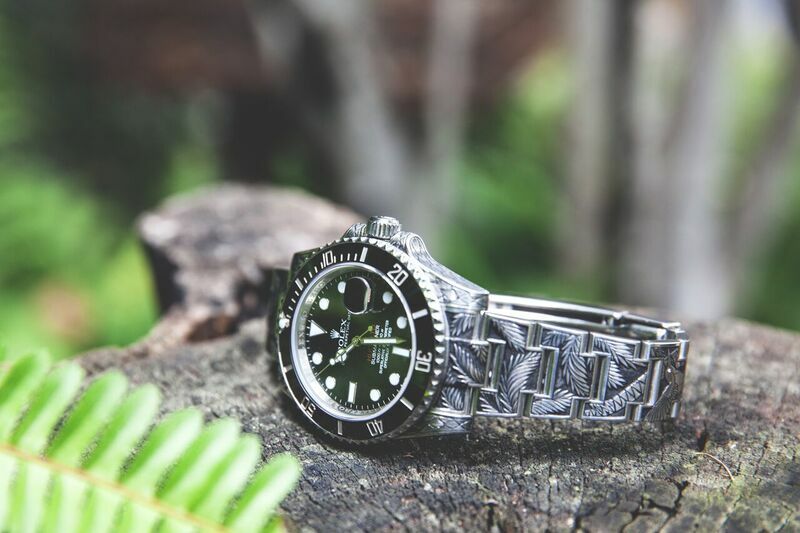 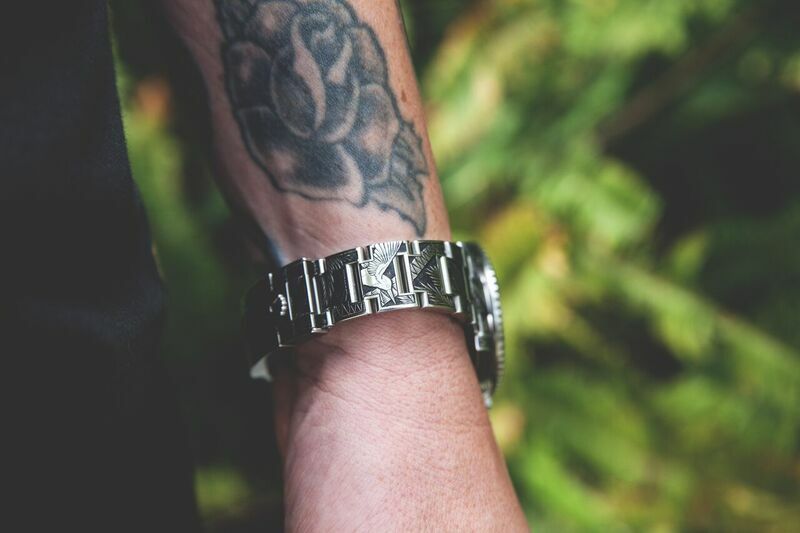 Working off of a stainless steel Rolex Submariner, Huckleberry Ltd spent 107 hours hand engraving the timepiece, etching a Huckleberry palm motif into the band. 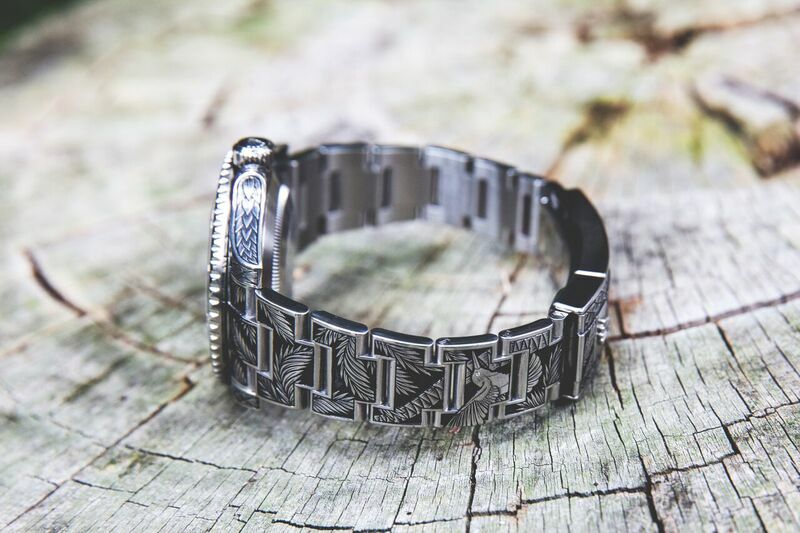 At closer look, a hidden hummingbird totem with a white diamond eye can also be found in the band. 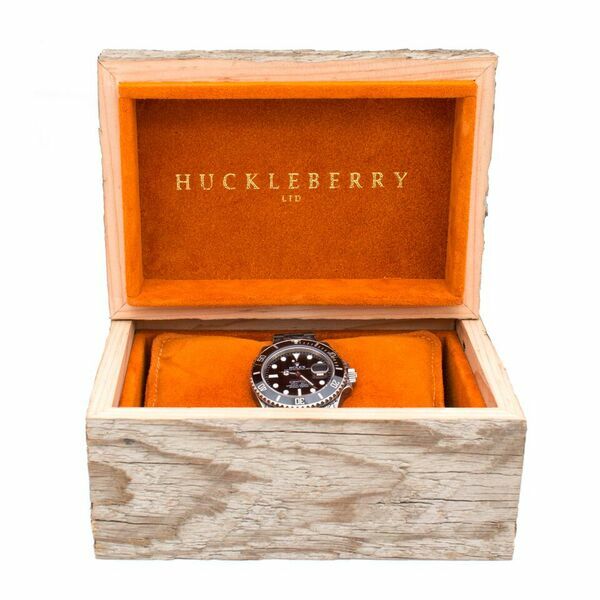 Huckleberry’s signature orange dyed date wheel is on the face. 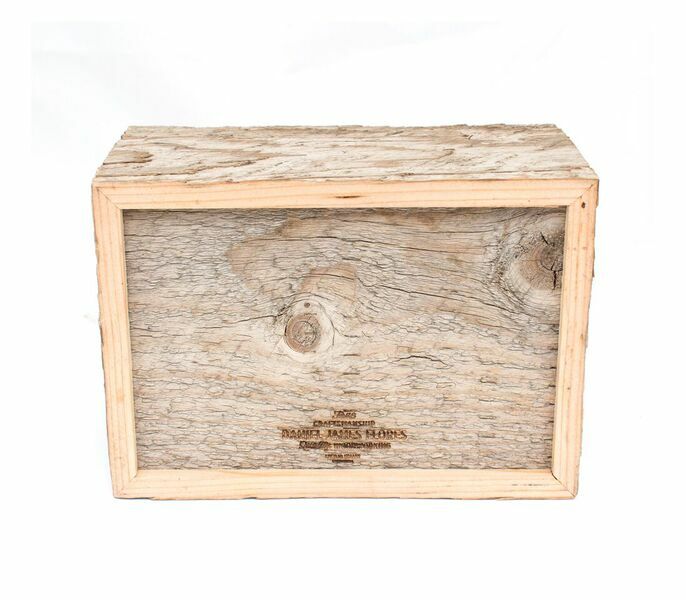 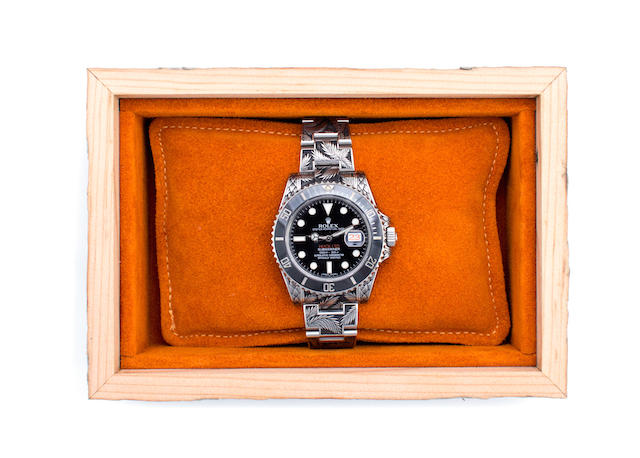 Like all of Huckleberry’s one-of-a-kind watches, the timepieces sits in a custom reclaimed wood box with orange suede lining.